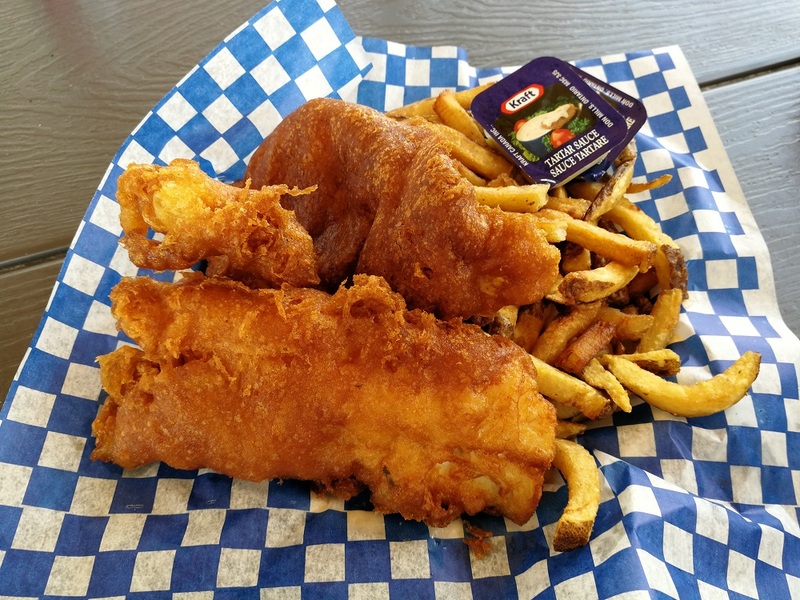 Fisherman's Cove Fish 'n Chips Quest: Who makes the best? 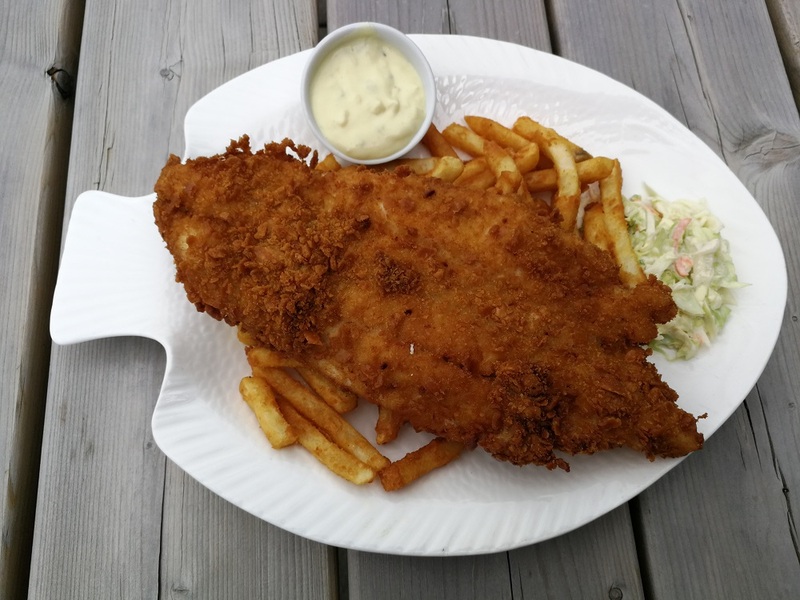 Fish and chips eatery with a loyal following? More than one! 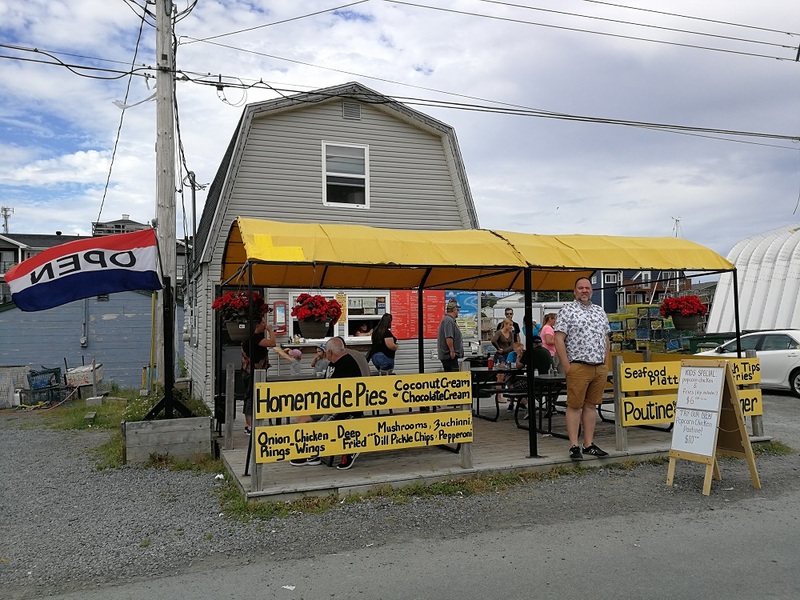 I mistakenly mentioned Gordy’s as a local favourite, unaware that Gordy’s has been closed for some time, Apparently it had been too long since I’d visited Fisherman’s Cove, and I’d been meaning to determine once and for all who makes the best fish and chips there! 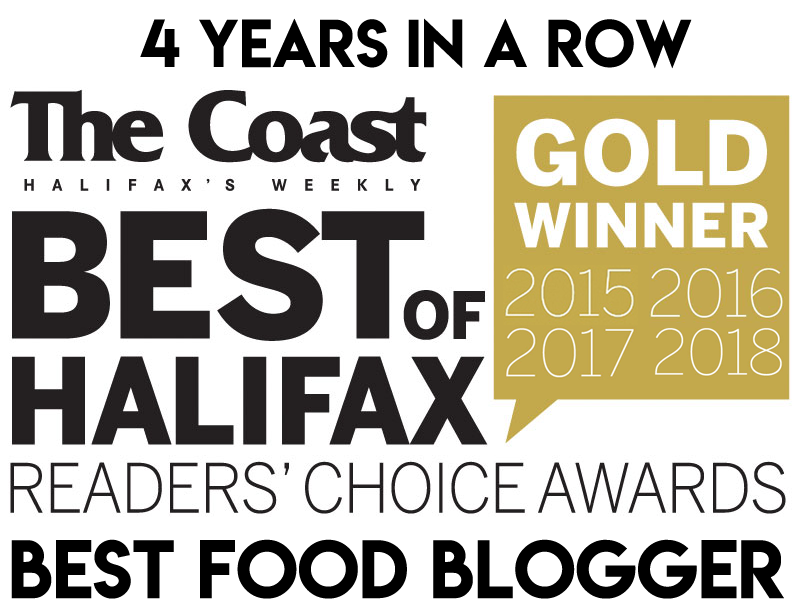 So I rounded up ReTales and Cailin O’Neil to help me eat and judge three platters of fish ‘n chips in Fisherman’s Cove. Wharf Wraps is like the funeral home of fish ‘n chips, with its foreboding black exterior and skeletal fish designs. The interior is also black, with green curtains and black tables. There was a “Cash Only” sign at the front – an inauspicious sign, lending to the doom and gloom. A 1pc fish ‘n chips is $18 and an additional piece of fish is $10. I’m sorry, did you say $28 dollars for a two piece fish and chips!? Are they battered in gold?! 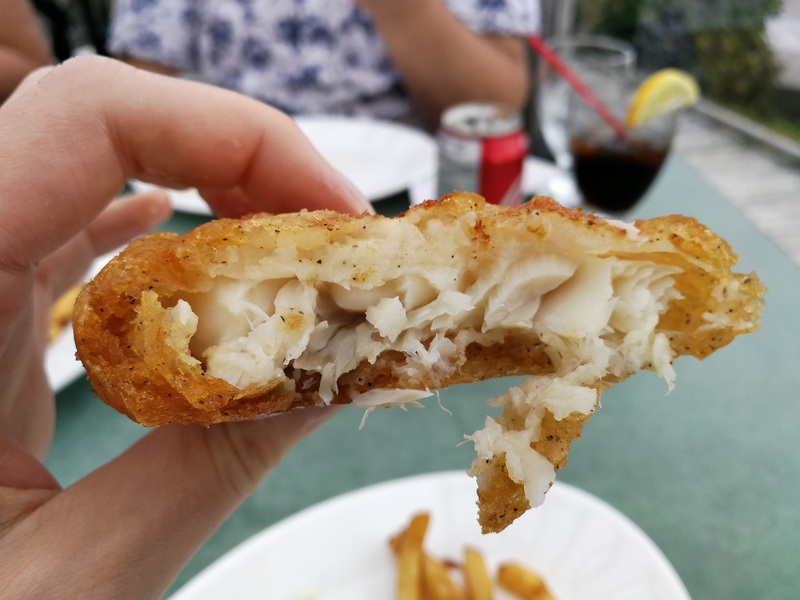 Wharf Wraps has long had a loyal following for their large fillets and their unique crispy batter. The batter was crispy and flavourful and I believe the fish was a good “seafresh” product. Even though Wharf Wraps has a good batter and quality fish, ReTales felt that the they somehow didn’t mesh. In my opinion, it was an enjoyable feed of fish. 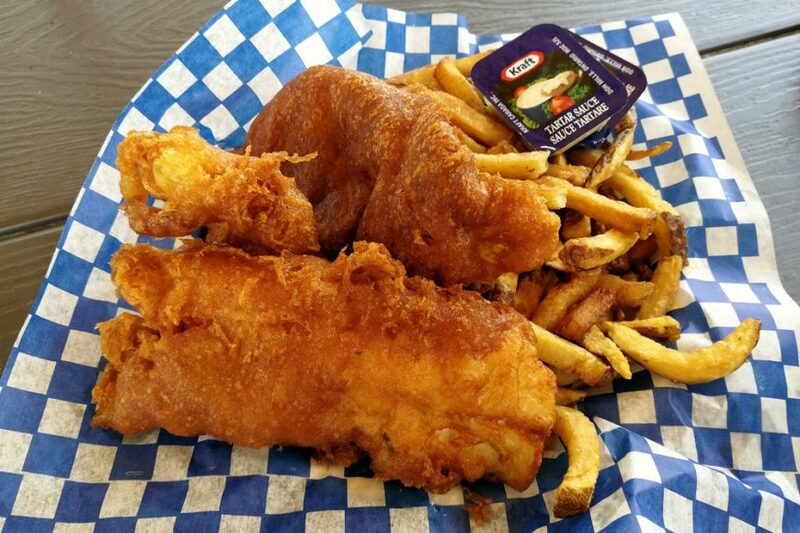 But $18 is way too steep for a fish ‘n chips of this caliber, especially considering the use of frozen fries. 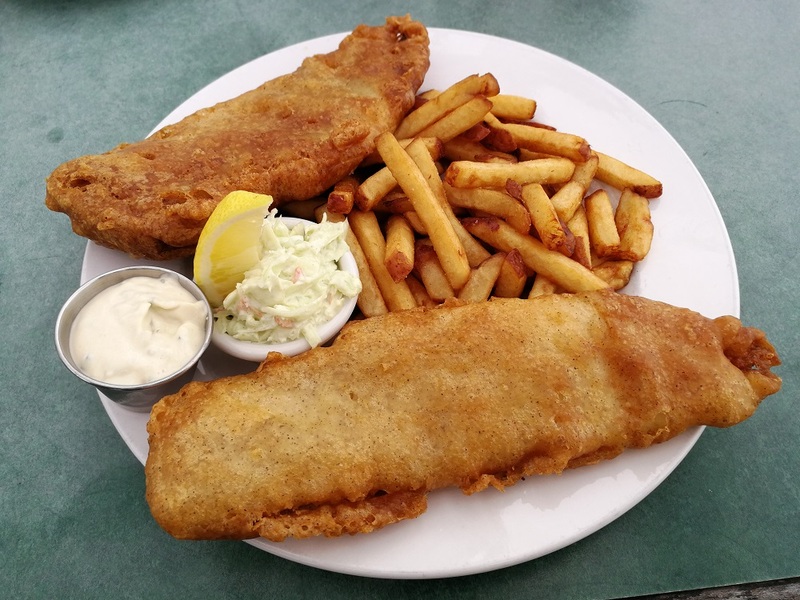 When I originally reviewed Wharf Wraps in 2014, the fish was advertised as “line caught” and was served with “frozen hand-cut” fries and pineapple-spiked coleslaw. Now Wharf Wraps is using frozen battered fries and coleslaw that looks like it came from a tub. The fries were never the selling point here, but for $18 I expect higher quality ingredients. It seems as though corners are being cut. Cash only and the web site is down. What’s The Scoop was bustling with activity compared to the sullen Wharf Wraps. The menu consists of burgers, ice cream and deep fried everything. Here you will find homemade pies, fried pepperoni, and the cheapest lobster roll in town ($9). A 1pc fish ‘n chips is $7.95 and a 2pc is $11.45. That’s decent. Cailin decided to try the lobster roll. It was serviceable, but had a load of Miracle Whip assaulting a small portion of lobster in a cold bun. I’m not joking – this was really greasy! There were pools of grease left in the basket when we were done. The batter was crispy and flavourful, but just so very greasy. The fries were hand-cut, but limp and under seasoned. Meanwhile, tartar sauce packets are no substitute for a simple homemade sauce. Coleslaw is $1 extra and we didn’t order it. The fish was great, though! As you can see, it was fresh (I suspect “seafresh”) haddock, chunky and snug in the crispy batter. I wanted to like these fish ‘n chips more than I did but they missed the mark for us. Our final impression was that they were greasy and bland. But the potential is there. A 1pc fish ‘n chips is $14.50 and it was $9 to add another piece of fish. While it’s cheaper than Wharf Wraps it is still too expensive for what you get. Or maybe it was just the fish? 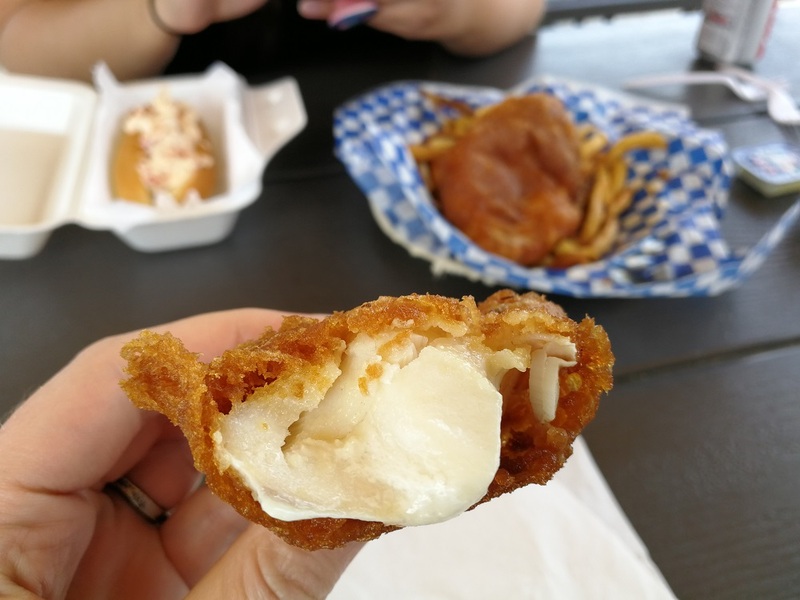 We noticed a stark difference between this haddock and the product served at What’s The Scoop and Wharf Wraps. This haddock didn’t scream “freshness” as had the previous fillets. The fries were hum drum frozen fries, while the tartar sauce and coleslaw were perfectly serviceable. 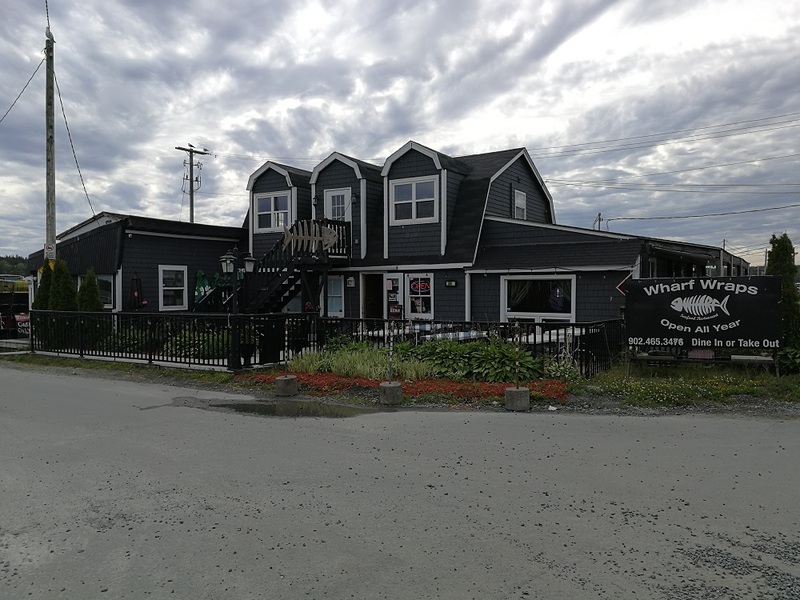 We agreed that Wharf Wraps was our favourite fish ‘n chips, but it’s not without some major issues. Cash only, weird atmosphere, and way too expensive for what you get! 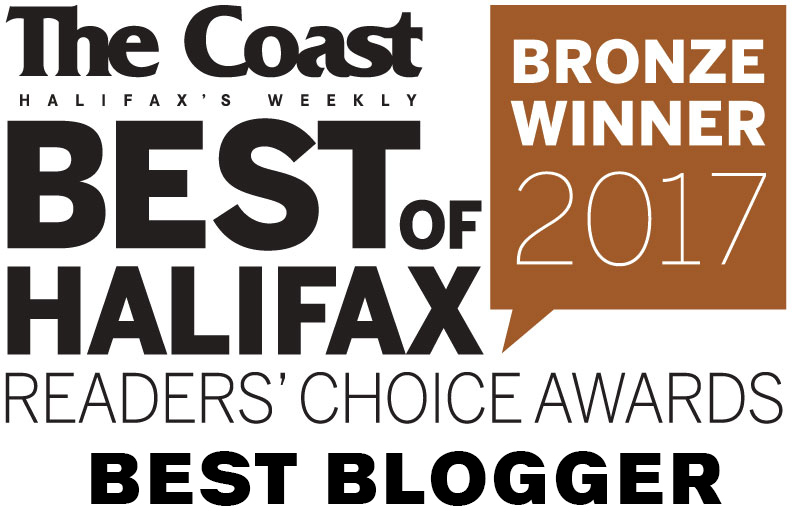 We loved What’s The Scoop. The fish ‘n chips were not our hopes and dreams, but this is the best combination of good food and outdoor seating. While there are no ocean views, it was lively and summery and exactly what I’m looking for on a day trip. 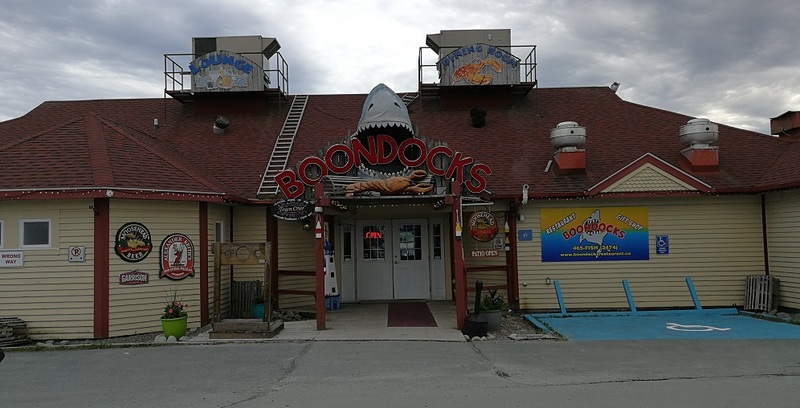 Boondocks has the best outdoor seating, but the worst food. So basically, you can’t have it all at Fisherman’s Cove – but it’s still a nice place to visit. 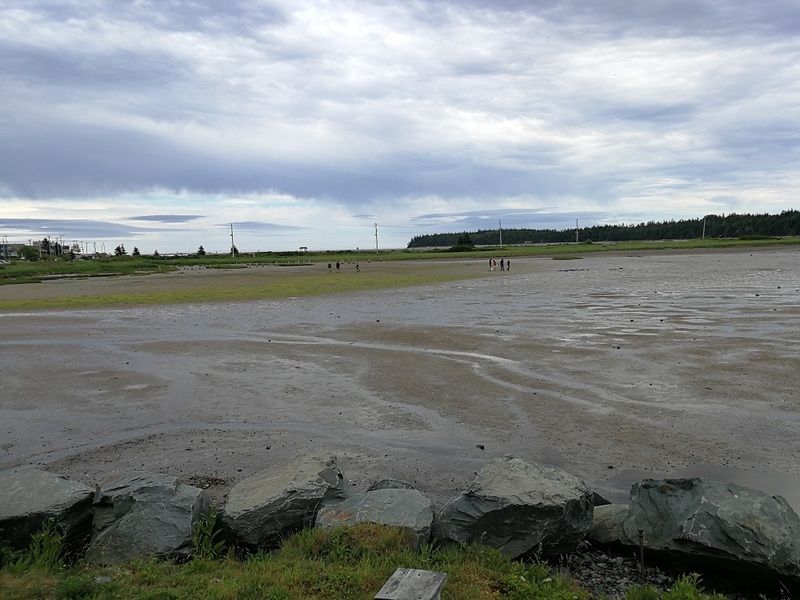 Grab some ice cream and deep fried goodies at What’s The Scoop, buy some Fudgy Chicks fudge, have a beer on Boondocks’ patio and stroll around the MacCormack’s Beach boardwalk. If you don’t mind forking out $18, give Wharf Wraps a try and let me know what you think!